Mysuru: The Mysuru City Corporation (MCC) has opened the multi-level pay-and-park facility at Town Hall temporarily for public during Dasara fest. The decision to open the parking lot has provided a relief to many commuters who were otherwise struggling to park their vehicles in the Central Business District in the absence of parking on the main roads that are usually occupied by shopkeepers and shoppers. While cars have to pay Rs. 10 for parking, two-wheelers have to pay Rs. 5. There are no restrictions of time. Speaking to Star of Mysore, MCC Commissioner K.H. Jagadeesha said that the facility will be open for two months. The Town Hall can accommodate over 600 four-wheelers and over 1,000 two-wheelers. The works of parking lot began way back in 2011 and only 80 percent of the works are complete. The MCC has opened the facility with a main intention of easing traffic congestion and parking hassles in the central area where people come to witness Dasara. 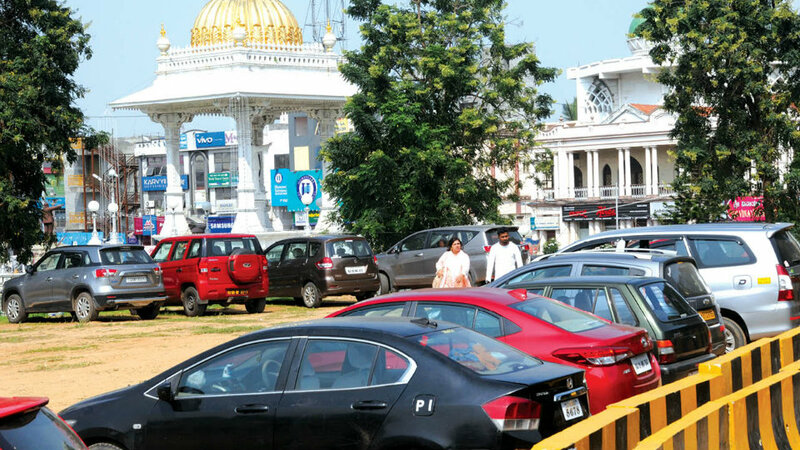 With the opening of parking facility at Town Hall, the practice of allowing vehicles to park around the Kote Anjaneyaswamy Temple has now been discontinued. This place is now open for tourists, tongawallas and other street vendors to sell their wares. Tongawallas who used to complain that their business is hit due to parking of vehicles can now attract more and more tourists to see the illuminated city. 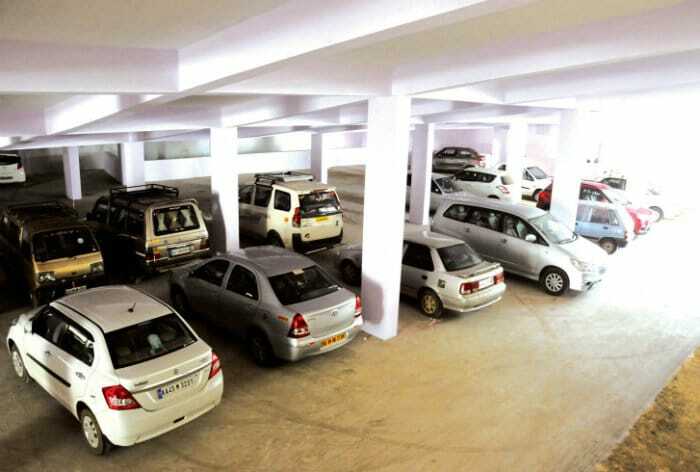 The MCC floated tenders to operate and maintain the multi-level parking lot as it is difficult for it to prevent vehicle thefts and maintain and operate the parking facility due to skeletal staff. Instructions have been given to contractor to ensure security of vehicles and depute enough staff to maintain and operate the parking lot.